The second habit in Stephen Covey’s legendary book 7 Habits of Highly Effective People is “Begin With The End In Mind.” This principle is crucial for success, and is undoubtably one of the most shared characteristics that every super successful business shares. The idea behind beginning with the end in mind is based on the principle that all things are created twice — mentally (first) and physically (second). If you think about it, professional athletes visualize everything they do, before they do it. Beginning with the end in mind can help you stay focused on the outcome, keep you from wandering off course, and prevent you from engaging in unhelpful behaviours as you keep your eye on the bigger picture. 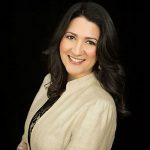 It can be challenging for the multi-tasking business owner to step away from day-to-day operations to focus on the future, but it’s integral to the future success of the business to do so. 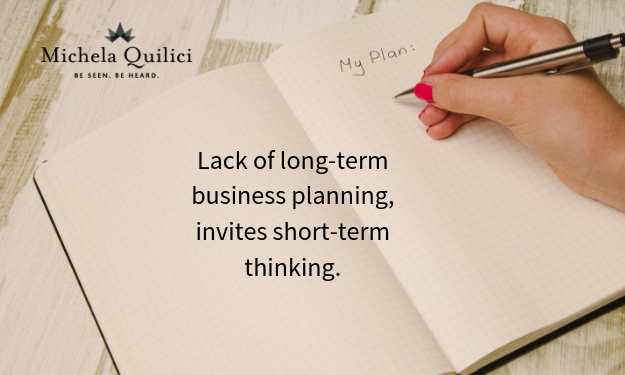 Lack of long-term planning, invites short-term thinking. Short-term thinking keeps the business owner in reactive mode, narrowing their range of focus to the ‘here and now’, where the priorities become more about putting out fires, managing tasks, creating patch-work fixes to problems — rather than creating a future. Taking the time to formulate a strategic plan is the best way to reach both short-term and long-term goals. The strategic planning process doesn’t need to be complicated or lengthy. Articulate Your Mission. Where are you headed? What is your vision for the future? What do you want your business to look like in 3-5 years? Create SMART Goals. Develop 3-5 business goals that will help you achieve your overall mission and financial targets. Be sure each goal is specific, measurable, attainable, relevant and time-bound. Identify Strategic Initiatives. Based on your goals, identify some of the strategies and tactics needed to achieve your goals. Develop Key Performance Indicators. You can’t manage what you can’t measure. Identify the KPIs and benchmarks for measuring the progress (and effectiveness) of each of the strategies and tactics. This will help you track results and tweak for best results. Stay Focused. It’s too easy to get distracted with new ideas and wander off-plan when you are working in the business. Use your plan as a touchstone to vet new ideas and opportunities, and be sure they are in alignment with where you are headed. What’s your best tip for staying focused on the future of your business? Leave me a comment below.